BNSF 163 (GP60) at Perris CA. 7/17/2018. 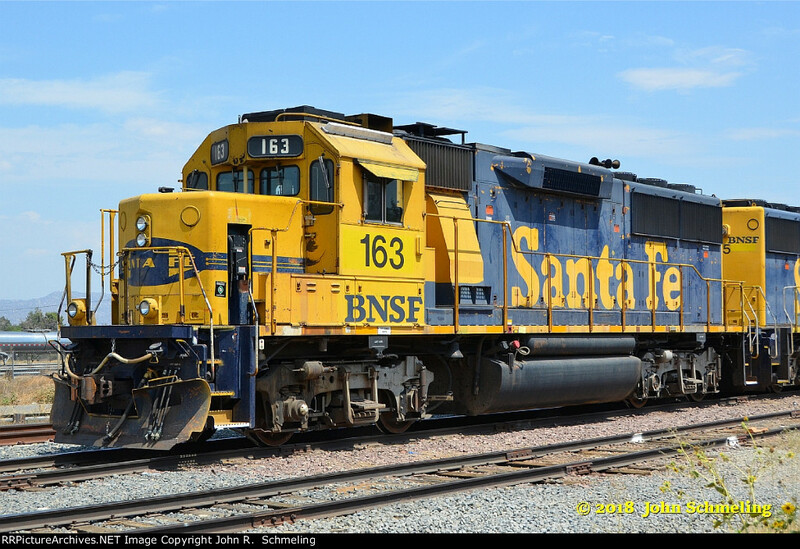 Over Twenty years since the BNSF merger and both units are still in full ATSF blue and yellow paint and lettering, WOW !